Don’t think of Rhode Island as the smallest state, think of it as the most compact. The state may cover an area of only 1,214 miles, but not a centimeter of it goes to waste. 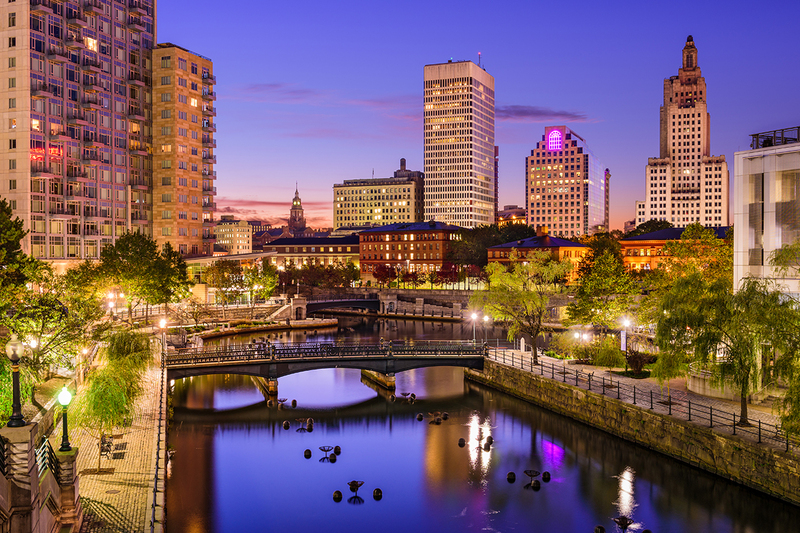 Rhode Island is the second most densely populated state in the country, ranks 43rd in population, and the small size just means less driving time between one great attraction and the next. One of the most popular attractions in Rhode Island is its shoreline. Despite its securely tucked position between New York and Massachusetts, this New England state boasts over 400 miles of coastline, thanks to Narragansett Bay, and, with over 30 bay islands, Narragansett is a main part of what makes life in Rhode Island so desirable. While you’re walking the walk in Rhode Island, you may as well talk the talk. You’ll notice a lot of ‘R’s in strange places and ‘R’s totally missing from others, which means it might not be so strange to hear a Rhode Islander saying that he or she has “no idear where the cah is pahked.” ‘Bubblers’ are water fountains, ‘grinders’ are submarine sandwiches, and a ‘cabinet’ is a milkshake. Also, if you want to talk politics in Rhode Island, be prepared for some drama. Rhode Islanders are known to get emotional about their politics, and with the “everybody knows everybody” mentality here, be careful where you tread. Of course, one cannot speak of Rhode Island without making mention of the seafood. The unique clam cuisine can be found at “clam shacks” all along the Rhode Island beaches, and the “chowda” is the pride of the city. Add quahogs (clam cakes) to the mix, wash it down with some beer, follow it up with a zeppoli from an Italian bakery, and you have a meal fit for a king. Hit up the Port of Galilee for some fresh-off-the-boat lobster if you want to do it like the locals. 198 Thames St, Newport, RI 02840. Whether you’re looking to minimize the undesirable signs of aging or wanting to mitigate the effects of one too many ‘chowdas,’ you’ll find that Lavelier’s luxury skincare can cater to your most specific needs. Consult one of our skincare specialists for advice on how to use our products and the best skincare collection for your skin type.